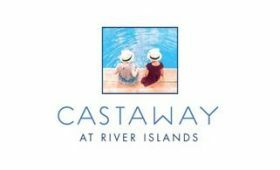 Introducing Castaway at River Islands, Van Daele Homes’ newest community of 114 charming detached bungalows and carriage style flats. The cozy detached bungalows at Castaway offer the conveniences of detached home living combined with a lock and go, low-maintenance lifestyle. 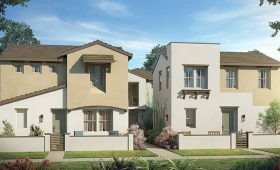 With up to 4 bedrooms, 3 baths and 1,776 square feet and including generous kitchens, elegant master suites (first floor master suites are also included, per plan) and enclosed front and private rear courtyards, the bungalows at Castaway are the perfect start to homeownership. 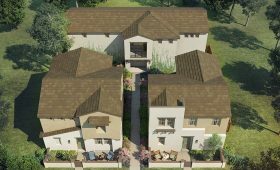 The carriage style flats at Castaway offer single level living with 3 bedrooms, 2 baths and approximately 1,575 square feet, and include an outdoor deck, generous master suites with dual walk in closets, full laundry rooms with available laundry sinks and much more.